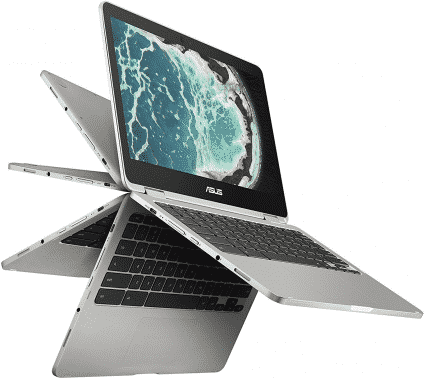 Welcome to our monthly updated guide to the best Chromebooks on the market based one expert reviews, consumer and user feedback. Google Chrome OS is a relatively new operating system. On July 7, 2009 Google first announced ChromeOS but only finally shipped it with hardware on June 15th 2011. Starting out as an almost entirely web based OS, Google ChromeOS has been gaining traction in the last few years as more and more developers get onboard and release offline apps. Don’t expect to completely ditch your Windows or Mac laptop completely just yet as there are still some limitations imposed in ChromeOS, however if you need an incredibly fast and responsive machine to check email, browse the web and stream multimedia then read on, a Chromebook might just be for you. 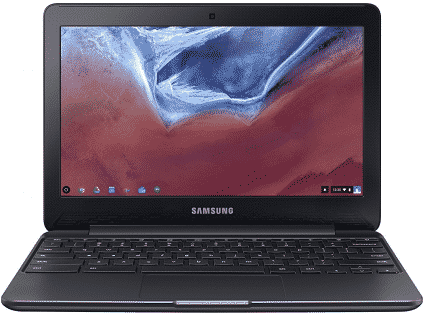 Below we have compiled a list of the best Chromebooks and categorized them by price in order to suite any budget If you are a Linux user, also don’t forget to checkout the top Chromebooks for Linux in our best Linux laptops guide. There are a ton of Chromebook reviews available for many of the Chromebooks for sale below listed at popular review sites. 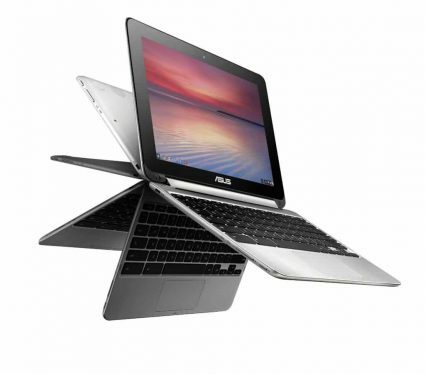 Alternatively we also collect all available user reviews from leading retailers to help score all of our laptops including all of the top Chromebook deals of the moment. 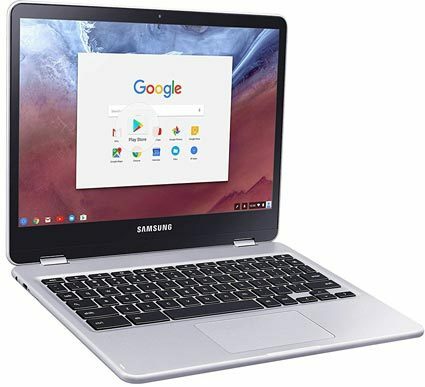 Although there are some high-end Chromebooks available, a cheap Chromebook is usually preferred by most users due to Chrome OS’s limited functionality for more heavy duty applications. If you are still considering a Windows-based laptop feel free to browse our laptops under $300, laptops under $200 and laptops under $400 guides which all feature some Windows laptops at similar price points. Our student laptops guide also has some great contenders for the best laptops for college students. For under $200, you can get yourself a lightweight (it weighs less than 3.1 pounds), ultraportable laptop that you can take anywhere with you. 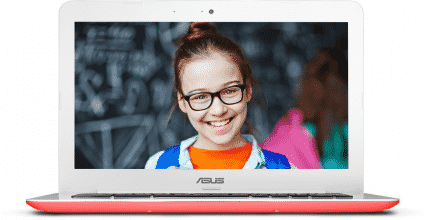 The ASUS Chromebook C300SA-DH02-RD comes in a pleasing red and white design, with a dual-core N3060 Processor and 4GB of DDR3 RAM stuffed under the hood. Users noted that it boots up fast and it is responsive for the most part, allowing them to complete simple day-to-day tasks relatively comfortably. While the 16GB of storage is fairly limiting, one can further upgrade it through the use of an SD card or simply by purchasing an external hard drive. Furthermore, G-Suite has cloud based storage, and since Chrome OS is intended for online use, you will be able to do most of your work online and have access to cloud to based storage. The 10 hour battery life makes the ASUS Chromebook C300SA-DH02-RD great for students who intend on spending the day at college. According to some critical reviewers on Amazon.com, quality control seems to be an issue. A few customers pointed out that within a couple of months, their Chromebook started giving them issues: Chrome OS started failing, the screen was getting faulty, and the laptop randomly started rebooting for no real reason. While this is sometimes only limited to a few bad apples, it is a notable point. ASUS have included an HDMI port that allows you to connect to a larger screen for movie watching or photo viewing, and those who like matte screens enjoyed the non-reflective aspect. However, some noted that it has poor contrast, which was a drawback for them. The display has a resolution of 1366 x 768. 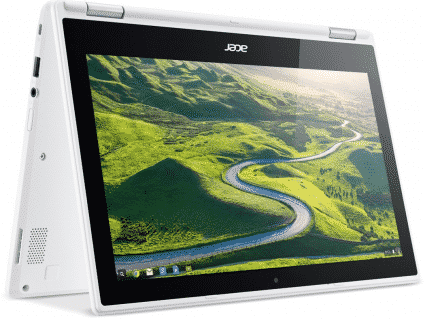 We are used to seeing Chromebooks sporting 11 – 13-inch displays, such as the popular Samsung Chromebook 3 XE500C13-K04US and the Acer Chromebook R 11 CB5-132T-C1LK, but Acer’s CB3-532 breaks the mold, sporting a larger, 15.6-inch display. This makes text easier to read, and for this reason it is ideal for reading smaller text. The only drawback with the display is its narrow viewing angles and the accompanying washed out looking colors doesn’t make it that great for photo and video media consumption. It comes with a larger keyboard thanks to the larger overall design that most thought was comfortable and easy to use, and many customers agreed that the Chrome OS is easy to use, reporting a positive overall experience. Under the hood, you’ll find a the Intel Celeron N3060, a processor we often see in the budget laptops. The 4GB of LPDDR3 RAM will allow basic processes and multitasking to run smoothly, but there are multitasking limits with this much RAM. You do get a speedy eMMC solid state drive that boots up your Chromebook fast, but it only has 16GB of space. It does come with two USB 3.0 ports though, so you can easily plug in an external HDD with all your multimedia on it. 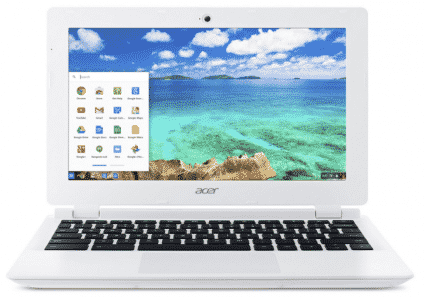 The Chromebooks are generally efficient with their power usage, and the Acer CB3-532 is no different. It has a battery life of around 12 hours, so working away from a power source is not an issue. 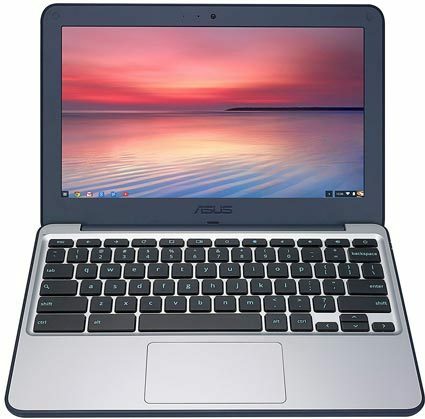 Chromebooks have become extremely popular for their amazing value for money and for their alternative operating system. While you won’t see an all-metal chassis or a backlit keyboard for its price, the HP Chromebook 14 still remains an elegantly designed laptop. 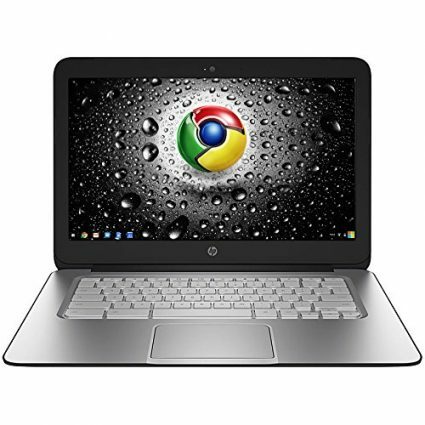 In comparison to many of its Windows-based competitors, the HP Chromebook 14 features a far larger trackpad which makes navigating around Chrome OS a breeze. While the operating system is limited and you cannot use your Windows-based applications, Chrome OS does come with some added benefits. You will no longer be bombarded with those annoying Windows 10 updates, and you will no longer need to fear the dreaded onslaught of viruses that has caused so much fear for Windows users. While there might be far fewer applications on offer, you will still find everything that you need for day-to-day use. The battery life is also impressive and some users have claimed to easily get 8 hours while browsing the web or watching videos online. This makes it great for college students who need a laptop that will last an entire day of lectures without running out of juice. 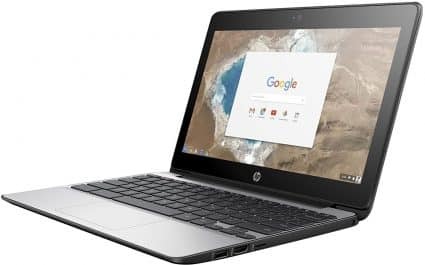 If you are looking for a laptop to store all of your media files, then you will have to use a good external storage drive as the HP Chromebook 14 only features 16GB of storage space of which some is used up by the operating system. The display has also received some criticism for its brightness and seems to be slightly dimmer than competing Chromebooks. When it comes to Chromebooks, there is very little variety among the budget friendly versions, and they all boast similar processors and 16GB of storage space. However, when you start moving into the premium Chromebooks, you start seeing features that are not available on the sub $300 models. For one thing, the Samsung Chromebook Pro features a brilliant Quad-HD display with a touchscreen panel. This means that the Samsung Chromebook Pro offers a far higher resolution than the average Chromebook, meaning far superior image quality. 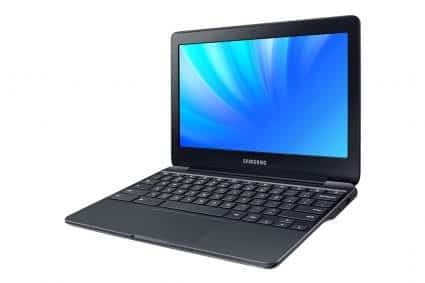 The display can also be folded 360-degrees to transform the Samsung Chromebook Pro into a Chrome OS based tablet. The Samsung pen will allow you to easily draw and illustrate in the various Google applications, though its best use is for quickly and easily taking notes at work or at college. While the store is still quite small for modern standards, you do get double the storage space of most Chromebooks, allowing you to store more of your offline documents. However, Chromebooks are designed to work in conjunction with Google’s online applications and its cloud-based storage option, Google Drive. Still, you may want to get yourself a good external hard drive for those times when you find yourself offline. 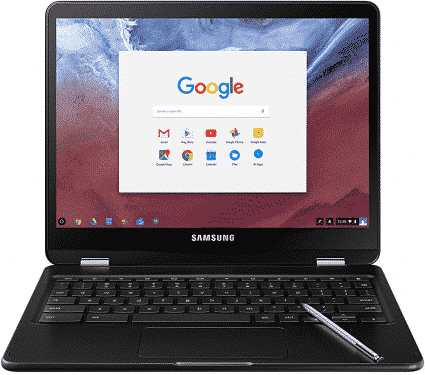 While the Samsung Chromebook Pro is fairly similar to the Plus, it boasts a far more powerful Intel Core M3 6Y30 processor. This will allow you to get the most out of this Chromebook without it feeling sluggish when you need it the most. 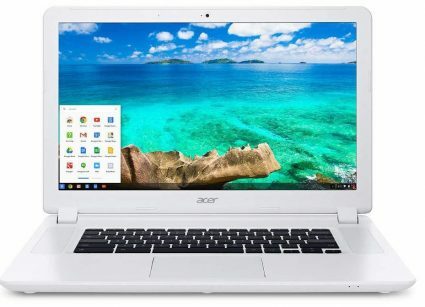 The Chromebook 15 CB5-571-362Q is new and improved big brother of the Acer Chromebook 13 with a relatively unique 15-inch display usually not found on competing Chromebooks. It features an attractive all-white casing with a microweave pattern on the outer surfaces. Larger screen means larger dimension, leading to a total weight of nearly 5 pounds, which means it’s not as travel friendly as other Chromebooks. Despite a larger size, it uses the same keyboard as on its 13-inch Keyboards. The extra space near the ends of the keyboard is used by two high quality stereo speakers. In terms of connectivity it includes a USB 3.0 port, USB 2.0 port, a full-sized HDMI-out port, and an SD card slot. Despite its larger display, the battery life is excellent, running over 7 hours in half brightness with video streaming on. You will easily get the advertised 9 hours with light use. Its Intel Core i3-5005U processor offers a significant performance jump over its Celeron equipped competitors. It even beats the recently released Chromebook powered by the much hyped Tegra K-1 processor. The 4GB memory is largest you will get on any Chromebook, and it’s adequate for all Google applications. If save up some more, you can get more a powerful Windows laptop, but it won’t offer the same quality display and the same lengthy battery life. If you are a daily traveller who wants something for typing on the go, you’re probably better off with an 11-inch Chromebook. 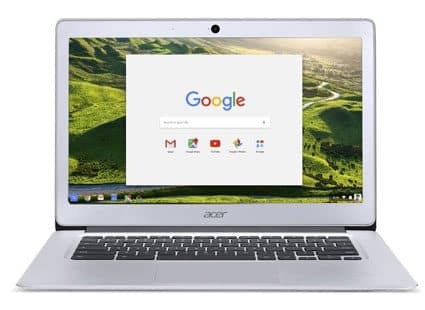 However, if you watch lots of movies at home and edit photos at work, the more powerful 15-inch Acer Chromebook 15 is without a doubt a top choice as an all-purpose home or office cloud PC. 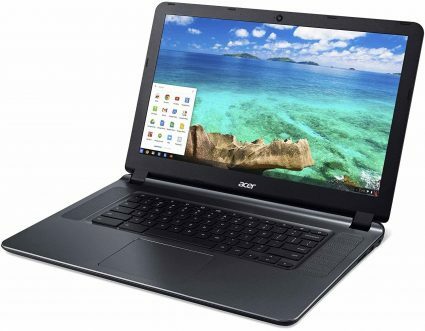 For under $400, Acer’s convertible Chromebook R13 is packed with hardware and a 12-hour battery that easily competes with other laptops and convertibles within the price range. The quad core 2.1 GHz MediaTek M8173C delivers a respectable performance for web browsing, streaming Full-HD videos and word processing, but throwing anything heavier at it will be met with some resistance. The 4GB of RAM backing it is slightly limiting too, as this will make any heavy multitasking a somewhat strenuous affair. But if you are out looking for a well-priced 2-in-1 that gets the basics right, then the Chromebook R13 is perfect for you. The aluminium chassis gives it a very professional look and its Full-HD, 1920×1080 IPS display easily rotates from a notebook to a display, tent and tablet position. Its build quality has received criticism due to its overall flexibility, with many pointing out that the rotation hinge feels flimsy. 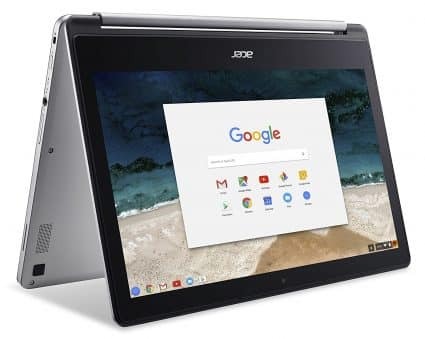 On the left side of the Chromebook R13, you will find a USB Type-C port, an HDMI port, a USB 3.0 Port and a microSD card reader slot, with Acer placing the headphone jack and lock slot on the right side. The Chrome OS can take some getting used to and it does run Android apps, which is quite a great bonus for Android fans. The keyboard is comfortable, but the fact that it’s not backlit surprised some reviewers, who directed some criticism towards this fact. The Acer Chromebook R13 is good for casual use, but productivity users and heavy multitaskers would do best to find something that packs a bit more power.